Sashco Transformation Stain isn't just for restoration. 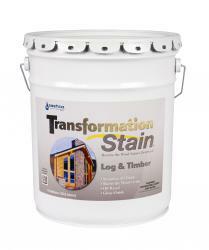 Sashco Transformation Stain provides a solid foundation of protection that can reduce frequency of future maintenance. Saving time and money. Compared to some of the most popular stains on the market, Sashco Transformation Stain out-performed in color and appearance. Sashco Transformation Stain delivers beauty that lasts. • Excellent for restoration work and new construction. • Ultra water repellent with extreme UV protection. • Restoration tested for compatibility over many stains.